would you like your heart gift boxed? would you like your heart gift boxed? (required)Yes please! (+ £1)No thank you! would you like your heart gift boxed? (required)Yes please! (+ $1.82)No thank you! would you like your heart gift boxed? (required)Yes please! (+ €1.18)No thank you! would you like your heart gift boxed? (required)Yes please! (+ $1.45)No thank you! 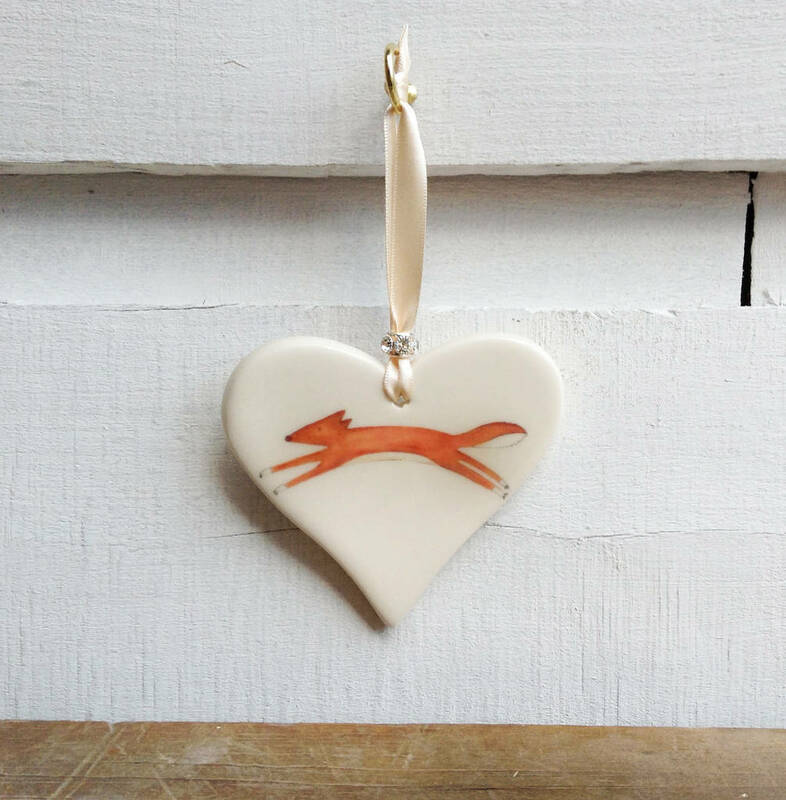 An beautiful handmade heart produced using the finest earthenware clay with a beautiful illustration of a fox. Do you love the countryside? We do! This is why our new range of countryside animals is making us smile. 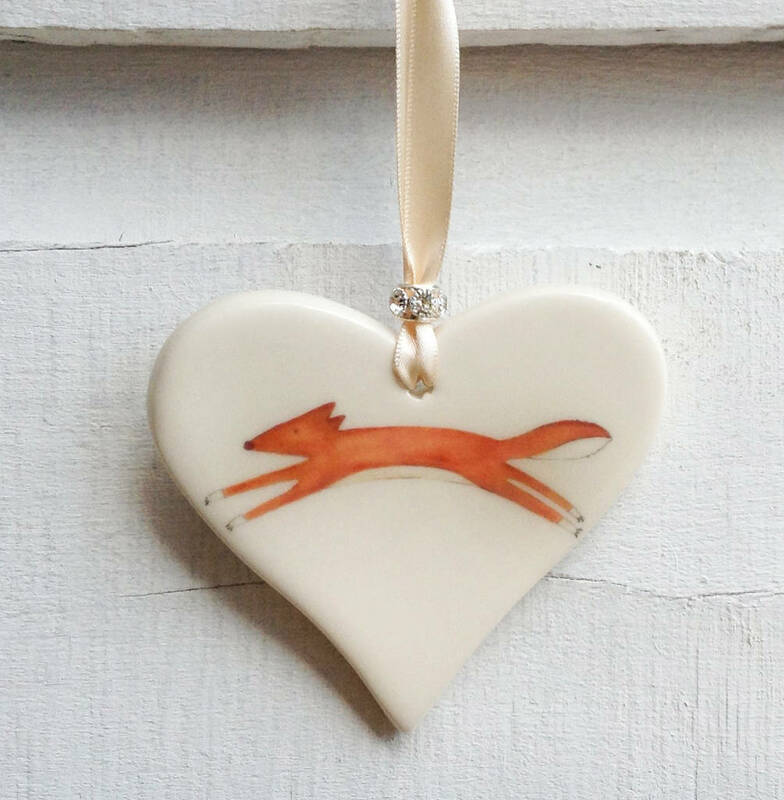 Each of these handmade ceramic hearts has a gorgeously clear Fox print decorating it's surface, taken from an original watercolour painting by Rachel Dimbleby. These very original and special hearts are ideal for displaying on your dresser, door knobs, in the boot room or closer to your own heart in the bedroom. You can add a gift box to your order which is a great idea especially if the heart is a gift. Does not include easel. Made from the finest earthenware clay in the heart of the Potteries, Stoke-on-Trent.